Jack Brice on Wine | Wine and Food, but mostly wine… from a consumer perspective! Early Autumn brings pros and cons… on one hand we benefit from broad choices of beautiful fresh produce – on the other hand we must start carrying a jacket as we brace for the oncoming shift to cooler weather. Fortunately plenty of good quality high-value wines are available to help us enjoy summer’s lingering moments. After countless tastings (and a number of wines poured down the drain in disappointment), presented below are a number of interesting, characterful whites and several solid-value reds that will pair nicely with autumn vegetables and anything grilled! I hope you enjoy the suggestions below! Why this is good value: Apple and pear flavors with slight grape and spice notes in the background – foremost feature is the strong grip and energetic effervescence followed by a clean finish. Nothing takes away from the apple and the bubbly grip. Fantastic value at this sale price (on sale until Sept 30) I plan to purchase a case or two and save for holiday parties! Great Value! 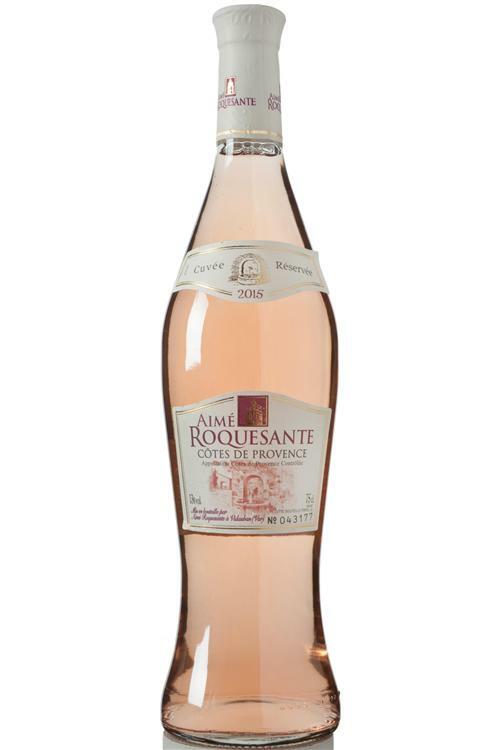 Why this is good value: For absolutely traditional Provencal Rose, I really like the Aime Roquesante Rose Cotes de Provence 2017. From the heart and soul of rose country, this wine displays the expected light salmon color and delivers a dry (rose shouldn’t be sweet! ), fruity sipper with slightly tart and super refreshing red berries, strawberry and watermelon flavors – everything Provencal Rose should be! Drink soon before warm weather abandons us. Why this is good value: What an interesting wine! Loads of character here, but none of it overdone. Bright and vibrant with flavors of stone fruits mixed with lime across the top and undercurrents of savory minerality. All of this is followed by a lightly chalky (Chablis-like?) finish. An interesting and well made wine from Mt. 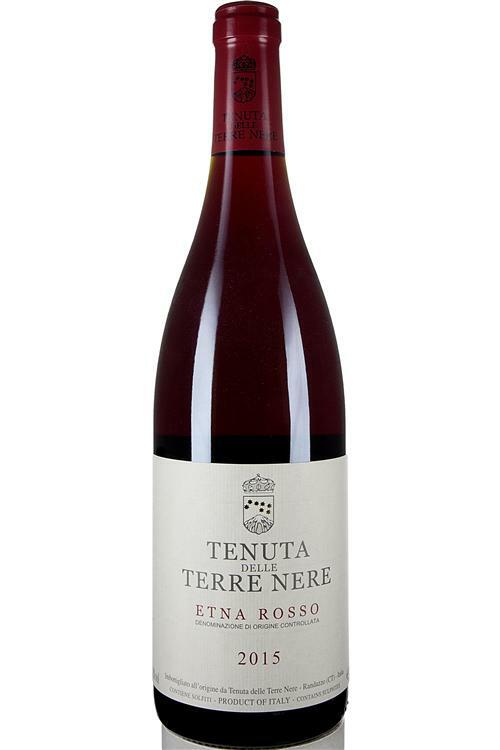 Etna’s high altitude vineyards planted in volcanic soils. If you aren’t familiar with Etna DOC wines, this 100% Carricante white is a fine introduction to the delicacy and complexity for which this region is becoming famous. Why this is good value: French table wine! Anyone visiting France will likely find themselves in an affordable bistro sipping an affordable table wine like this one. This red is a blend (very commonly associated with Bordeaux’s right bank, and St. Emilion is only six miles from this Bergerac estate) of 40% Cabernet Franc, 40% Merlot, 20% Cabernet Sauvignon. Traditional black fruits fill the nose while the palate delivers straightforward old-world flavors of spicy dark fruits and a hint of licorice with a touch of oak in the tannic finish. Taste the old world with this solid French table wine at a good price. Why this is good value: Classic – This red Bordeaux is marked “Cru Bourgeois” which is an elevated classification, implying higher quality than typical table wine, and would expect to fetch a higher price (often $20-$50). Produced from “Left Bank”, Haut-Medoc grapes, (not revealed but likely Merlot, Cabernet Sauvignon and Cabernet Franc as main components) this is what I consider an old world classic claret with no hints of “Californication” (in other words, not over ripe, not thick and not over-sweet). Very nice black fruit, earthy tarry flavors with velvety mouth feel at opening with some tannin grip at the end, needs food or strong cheeses to show its merit. Famous reviewer James Suckling awarded a 92 rating for this red. Drink/decant now or keep for next year or two. Why this is good value: Here is your barbecue wine! A common Rhone-style blend made from Syrah, Grenache and Carignan, this big-boned red is the perfect accompaniment to barbecue flavors but also Mediterranean foods. Offering a nose full of raspberries and violet floral aromas, the palate delivers a fleshy mouthful of red and black fruits backed by significant grip – all of which allows the wine to stand up to all kinds of meat or strong cheeses (try some blue cheese). A rewarding hot climate red! Why this is good value: Everyone knows Pinot Noir is a difficult grape to grow and wine to make – hence the price point is often high, despite quality inconsistency. Fortunately, we sometimes find relief. 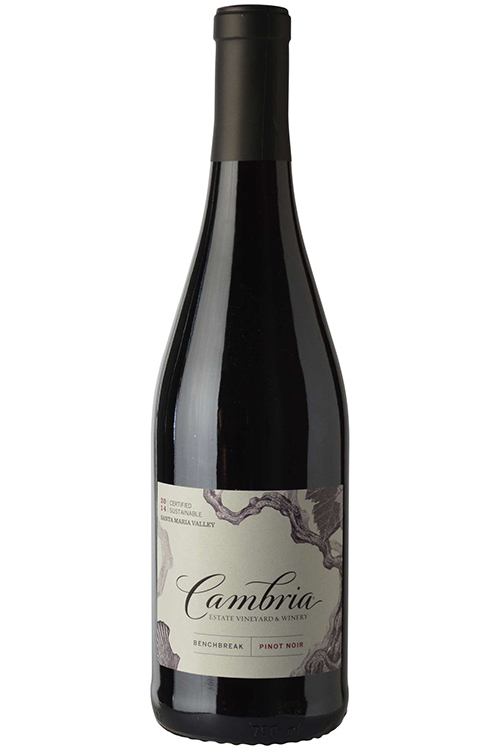 This Cambria, a sustainable farmed Pinot from Santa Maria Valley (north of Santa Barbara), rewards us with trademark Pinot Noir red fruits and spices wrapped in a velvety package. At this price, it is a bargain – and my new favorite California Pinot Noir! Why this is good value: Ruby color and a nose full of red fruits – mouth feel is light and smooth but packs plenty of fruit density on the palate. 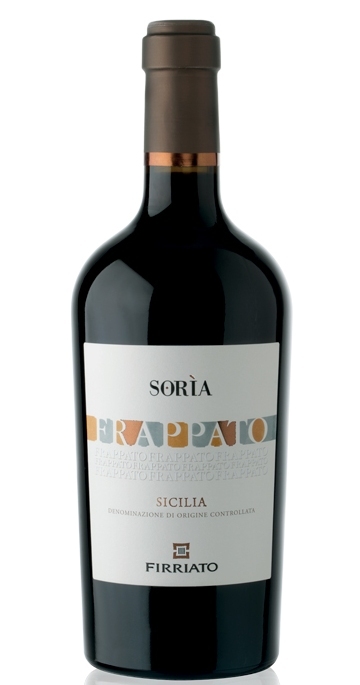 Despite being produced exclusively from Sicilian native grape Frappato, this wine conjures comparisons to nice quality new world Pinot Noir due to the red cherry, red raspberry and spice flavors presented in a not-too-hot package (ABV is 13.2%), light tannins and persistent finish. This is a very appealing medium bodied wine. Why this is good value: Produced in the high altitude volcanic soils on the slopes of Mt. Etna, this DOC red is a blend of mostly Nerello Mascalese (roughly 95%) and a small amount of Nerello Cappuccio (roughly 5%). Reminding me of a fine Pinot Noir, with flavors including intense cherry fruits and undercurrent notes of sweet raspberry and plum, all wrapped in solid but unobtrusive tannins that finish cleanly. I believe many people will enjoy how this wine packs copious amounts of fruit intensity in a light to medium bodied package! Last week I was invited to join PLCB wine experts and the Chairman Selection team for a tasting of Chairman Selection wines. Wines that I feel offer value and interesting characteristics are listed below. Some wines have external ratings, which are included where possible – otherwise I include comments from Steve Pollack, the head of the Chairman’s program and my own comments outlining why I see value in the wine. First newsletter of 2017 – hope you find some interesting wines and good values to keep warm through the winter months. Nice straw colour with green hues. Some green fruit character with some musky scents, notes of grass and a hint of sweet lemon pie. Light bodied with a crisp acidity and a lemon-salty palate-cleansing finish. Apple skin and sea salt. Crisp and refreshing. Great with raw oysters. Muscadet wine hails from the most western Loire Valley near to the cool French/Atlantic coastline. Many tasters suggest the sea air appears in Muscadet flavors – and even more people suggest the light crisp wines of Muscadet are the perfect accompaniment for oysters (given the same geographical location, it makes sense!). I tasted this wine without oysters but I imagine the combination would work nicely. This Bedouet Muscadet Sevre et Maine Sur Lie, as the name implies (and by French regulation) must have spent the winter ‘sur lie’ (in contact with lees) which imparts complexity and body to this extremely dry white wine. Along with light, almost spritzy and dry characteristics of the wine, there are flavors of green apple, grass and lemon with a pleasingly tart finish. For this price, the wine is a great bargain as the fresh crisp wine will happily accompany lighter fare. HINT: avoid Muscadet wines older than 2-3 years (Muscadet is intended to be drunk young). Floral and elegant, this wine has citrus fruits enveloped by scents of Jasmin and Mediterranean maquis. The palate is fragrant and sapid, wide and harmonic. Persuasive fruit with a range of citrus fruits from yellow to red. An exotic white filled with floral, Jasmin hints of ginger with wonderful glass-filling perfumed aromas. Try it with bay scallops. Last year I was fortunate to visit Sicily with a stop at Firriato’s stunning Etna winery to learn about their estate and taste some wines (with a constant view of the mildly erupting Mount Etna volcano). I was impressed with their commitment to indigenous grapes and precise wine making – I hope more and more of their wines become available in the United States! The 2015 “Jasmine” white is an aromatic white produced from Sicilian Zibibbo grapes. Many other parts of the wine world might recognize this grape as a member of the (very large and far reaching) Muscat grape family. While other parts of the world use Muscat grapes for dessert and sweet wines, this offering is a slightly off-dry table wine. Color is bright, light yellow, while the nose is immediately aromatic and floral (possibly the reason for the “Jasmine” name) with distinct sweetness. On the palate, sweetness is far less impacting, with dominant floral and citrus notes over top of peach leading to a stone fruit-ish finish. This wine needs no food and will be pleasing for afternoon sipping by the pool or intense book club discussions. Color is clear straw, nose displays immediate grassy aromas with citrus underneath. Super fresh lemon flavors with grapefruit tinge near the finish. Very clean and refreshing. Yet another tasty Marlborough Sauvignon Blanc, although – thankfully – a lighter style that doesn’t cause any face-puckering (like many Marlborough SBs of the past). This wine is widely available and deserves consideration for its pleasingly fresh, clean flavors. Named one of the Top 100 White & Sparkling Wines of 2016, the 2015 Cape Mentelle is a blend of 52% Sauvignon Blanc and 48% Semillon. The vibrant, aromatic blend produces a distinctive wine that accentuates both grape varietals. Fresh, intense blended white with aromas of citrus blossom, lime, honeydew melon. Light color; young and fresh with pithy acidity and mineral character balanced by rich fruit flavors of limes, passion fruit and pink grapefruit. Deliciously juicy with a bright, elegant, well balanced palate and a creamy texture. Long finish. Australians like to truncate, so this Suavignon Blanc-Semillon wine often is called simply “SBS”. This “SBS” is tasty – with light straw color – lime citrus nose – intense lemon lime melon flavors – full soft mouth feel – and lovely balanced acidity that dances over the palate through to a light mineral/pith finish that persists. Don’t miss this SBS! A beautiful, bright, pale yellow in color. It has a pleasant and complex nose with delicate floral aromas, complemented by a discreet touch of oak. This wine is very refreshing to the palate and characterized by a good persistence. It’s an elegant wine that surrenders a fine, regular foam. Citrus and sweet lemon and lime. Toasty and clean. Very good sparkler! From Southern France where sunshine is plentiful, this wine is made by a Provencal family with three generations of experience. 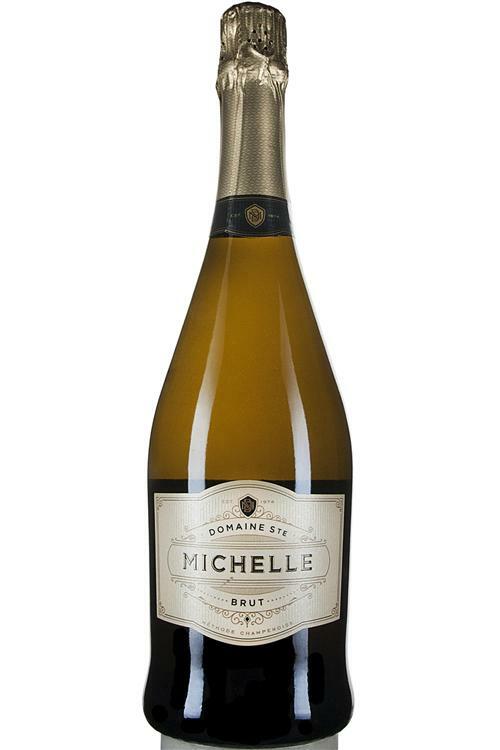 Made in a dry, brut style, the bubbly shows slight grapey character and smooth, dry ‘foxy citrus’ flavors that provide this sparkler with a more interesting profile than typical inexpensive “manufactured bubbly” – all at a highly approachable price. Be sure to purchase this by the case and serve at your next big party. Your friends will appreciate the French bubbly you provide and imagine you paid more for it! 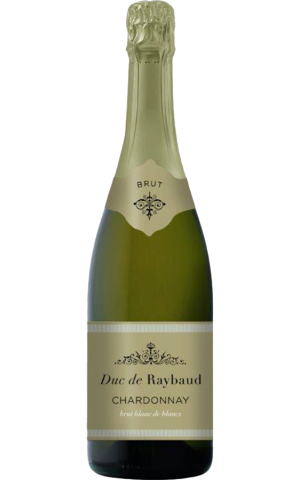 A wine professional friend of mine suggested this Raybaud is “far better than Barefoot Brut” that sells for $12.99. 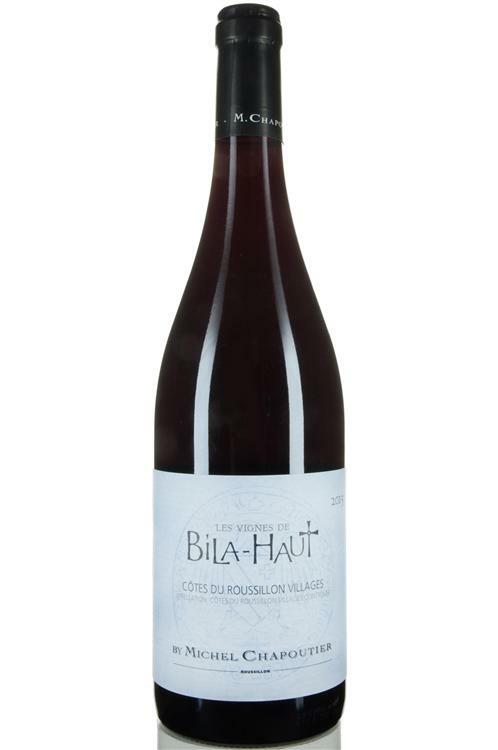 As a note, the previous vintage to this, 2014 Bila Haut, was #51 in Wine Spectator’s top 100. I feel 2015 is as good a vintage as 2014 so we will likely see good value here!Opaque purple in the glass – aromas of blackberries and savory herbs, the mouth feel is significantly dense and smooth, especially for an inexpensive French wine, but not surprising from the warm Roussillon region in Southern France. Flavors blossom on the palate, dominated by sweet black raspberries with an undercurrent of olive, lavender, and savory notes with a rich, smooth finish. Keep it a few years if you like, but great to drink today. Flavors suggest a more expensive Rhone red. This vintage is a fantastic value! Pretty fruit flavors of strawberry and raspberry mingle with vanilla, spice and light herbal notes in this alluring red. The tannins are light but firm, while citrusy acidity keeps this fresh through the vanilla-scented finish. Drink now through 2021. Baked, rooty aromas of sandalwood, exotic spices and berry fruits are attractive. Though slightly grabby on the palate, this shows the right structure and build. Flavors of up-front oak, herbal plum and raspberry finish dry, with firm, pinching tannins. Drink through 2021. Spice and floral aromas accompanying a light to medium weight and nicely smooth mouth feel. Flavors of raspberry and vanilla sit above significant but not overpowering tannins, finishes with return of vanilla and bright freshness. Solid value, very nice, easy drinking, medium bodied red. Enjoys a deep nose with white pepper, graphite notes and bright red fruits. The palate is powerful and intense with black cherry and dark, muscular berry fruit, crisp acid and some neat, grippy, slightly salted tannins. The finish is long with berries and spice. Founded in 1781 and continuously operating since, Vidal-Fluery has countless vintages and hundreds of years experience to back up their wine-maker Guy Sarton du Jonchay, who brings global new-world experience to the historic producer. These elements conspire to encourage consistent wine-making in each new vintage.The 2013 Cotes du Rhone is dark red in the glass, with subtle red fruit and metallic aromas. Red Cotes du Rhone often shows rustic flavor elements and here is no exception with medium-bodied mouth feel carrying pure red fruit flavors backed up with dried spices/cherries and noticeable tannin followed by juicy, peppery grip at the finish. A fine traditional example of Cotes du Rhone to accompany sausages and grilled meats. 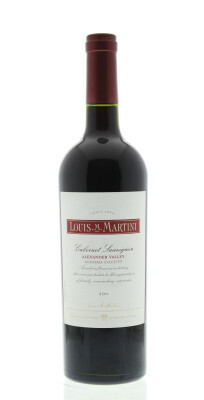 A rich, powerful style, this evokes black cherry, black currant, plum, leather and tar flavors. Balanced and ready to enjoy, with lingering accents of spice and tobacco. Drink now through 2023. The 2011 Vino Nobile di Montepulciano Riserva is made with 70% Sangiovese (Prugnolo Gentile) and 30% Canaiolo with other red grapes. The wine shows great authenticity with earthy tones, dried rose, black fruit, cola and balsam herb. This Vino Nobile Riserva reveals a velvety texture and evident tannins at the back. It should evolve over the next decade, but you can also drink it now. Dark, almost savory in the nose, the wine is medium bodied, but its flavor intensity and texture suggests a bigger weight. Chewy, intense red and black cherry flavors immediately impress with plum layers underpinned by leathery notes wrapped in serious but smooth tannins. Oak is apparent but not in the way. Great wine and a good value at the price – why pay more for Brunello? Fresh classic aromas of blackcurrants, mineral sweet licorice and warm soil. It is very mouthfilling, and has swagger and density. It is packed with fruit and interesting Indian spice notes too. Outscored many 2013 Napa icons in Decanter Magazine panel review, and since many of them are well out of my price range, I get exited to see a $25 California wine with character and appeal. Dark violet color, blackberry nose – earthy but packed with sweet spicy fruit, medium to full texture and smooth all the way to the lifted tannin crackle finish. Bottle age will help but is certainly enjoyable now (with breathing/decanting). Probably too big for most dinner dishes but will impress friends while sipping along side strong cheeses. Summertime often brings casual, hot, sweaty, outdoor parties. And even though friends deserve the very best, the budget deserves attention too, so locating a great tasting wine to enjoy with friends while not breaking the budget is a great way to feel good about the next party! Here are several wines that might help with both goals – ALL good quality, ALL under $10! Last weekend I tested these wines on my friends and they showed well (always nice to get extra opinions! ), so I suggest you enjoy them all… and with the money you saved, buy something nice for yourself!!! De Perriere Rose Brut France NV (PLCB Code: 47635 $8.99 Available in Premium Collection Stores) What a nice bottle of inexpensive rose sparkler! This may be a perfect for casual, warm evenings with friends. Lightly effervescent with strawberry scents on the nose, the flavors, while not layered or complex, are straightforward red fruits that persist through to a clean finish. Upon tasting this sparkler, a friend reminded me that for less than the price of many, mildly-disappointing glasses of non-descript restaurant sparklers, you can have the entire bottle of the De Perriere Rose Brut – which makes it my new favorite inexpensive sparkler AND makes it a Screaming Good Deal! Bommarito Sauvignon Blanc Napa Valley 2014 (PLCB Code: 33803 $9.99 widely available) This Napa Valley Sauvignon Blanc is produced under famous Napa producer Whitehall Lane. Anyone familiar with new world style Sauvignon Blancs will recognize the trademark heavier weight and concentrated fruit flavors – this particular SB features a number of candied fruit elements that overshadow the typical Sauv Blanc grassy/grapefruit elements, all of which drive through to a finish that features a slight savory note, possibly due to the alcohol level of 13.2%. While this wine is not a style that I seek out, it is a representative example of new world, full-throttle Napa white, and at this price point, for those who like a bigger white: it is a Screaming Good Deal! Xanthos Chardonnay California 2013 (PLCB Code: 33788 $8.99 widely available) If the previously referenced Sauvignon Blanc is “full-throttle” then this California Chardonnay is “full-er-throttle”! Despite the high, but not uncommon in CA Chardonnay, 14.3% alcohol, the nose is full of apricot and honey notes followed by a big, high density, mouth full of baked apple flavors followed by a persistent finish tinged (not badly) with oak and pear flavors. A great example of an inexpensive wine produced from a high quality vintage delivering value to the consumer. Big, new-world white wines are not my bag, but lots of people will find lots of great elements in this highly affordable California Chardonnay – for those who like a heavy hitting Chardonnay: this is a Screaming Good Deal! Dezzani Otto Bucce Piedmont DOC 2013 (PLCB code: 33805 $7.99 widely available) A blend consisting mainly of the fantastic for young, easy-drinking reds, Dolcetto grapes (68%) combined with small (8% or less) of seven other grapes including Barbera, Bonarda, Freisa, Albarossa, Syrah, Merlot and Cabernet Sauvignon. Despite the exhausting number of grapes in the blend, this ruby red, light to medium bodied wine delivers a pleasant and smooth mouthful of easy-drinking red and black fruits. The mid-palate touch of sweet fruits, is unusual, but works, and carries through to a soft finish. This is not a tannic wine to keep in the cellar, rather a wine to drink this summer and fall before the weather demands more full-bodied reds. At this price point, definitely a Screaming Good Deal – I would grab several bottles for my next evening barbeque invitation! Bodegas Langa Real de Aragon Garnacha Calatayud 2012 (PLCB code: 44035 $9.99 Available in Premium Collection Stores) Who says Southern France is the best source of value-oriented Grenache? Simply change a few letters of the grape name and you’ve got Garnacha (same grape, just the Spanish name). Grenache in Southern France benefits from a warm/hot growing season and Spain has plenty of hot weather, so it stands to reason that this Garnacha from the Calatayud region, which is roughly mid-way between Barcelona and Madrid, where Romans first cultivated wine of many grape varietals, but now 88% of the region’s grapes are Garnacha. This Real de Aragon Garnacha is seriously dark, nearly opaque without a dominating nose, but evenly structured, displaying solid, ripe juicy black fruit along an undertone of slightly spicy vanilla bean and fine grip/tannins on the finish – this wine has depth that is unexpected at this price. Definitely a Screaming Good Deal that would be happy paired with grilled meat or blue cheese! Altovinum Evodia 2013 (PLCB code: 43553 $9.99 Available in Premium Collection Stores) Another Garnacha from Spain’s Calatayud region, this relatively young 2013 vintage bursts with fruit, both in the nose and the forward leaning ripe red peppery fruit flavors. The mouth feel definitely has some weight to it, but despite the heft, this wine still shows the structure and cut to keep it in the old-world style. If your friends lean toward new world, fruit forward styles this may be a great introduction to the old world wines that feature big fruit but bring structure and acidity along for the ride. This wine is unapologetic in its fruit delivery, so I am unapologetic in declaring it a Screaming Good Deal! I located wines in bottle from same maker and same vintage as several of the bar’s keg wines. We filled our table with glasses of bottle and tap wines to determineif we could discern one from another – and we could – slightly – but only initially… The only difference between bottle and tap wines that we could discern was that the bottle wines seemed to open up much faster. The nose was especially more open on the bottle wines and that may have enhanced the flavors on the initial sips. However this was not a clear victory for the bottles, because after a few minutes of breathing in the glass, the tap wines opened and became (to my palate at least) completely identical! Why this happens could have to do with the absolute lack of air in the keg arrangement or possibly the amount of wine to surface area etc. – there is no way for us to know… but we found this ‘closed’ aspect on the tap wines to be present in each of the wines we compared. Given this, we concluded (somewhat surprisingly) that while we recommend significant swirling, there is no reason to avoid a wine that was transported in a keg and served from a tap!